An otter was to blame for a puncture to a dinghy that led to two men having to be rescued from the River Severn in Bridgnorth, Shropshire, after getting stranded. The occupants were led to safety by crews from Shropshire Fire and Rescue Service. The rescue unit was sent to the river at about 10.20pm last Wednesday after the alarm was raised when the men became stuck on the debris. A fire service spokesman said the two men had been travelling down the river in a dinghy when their boat drifted over to an area of river debris and they got stuck. 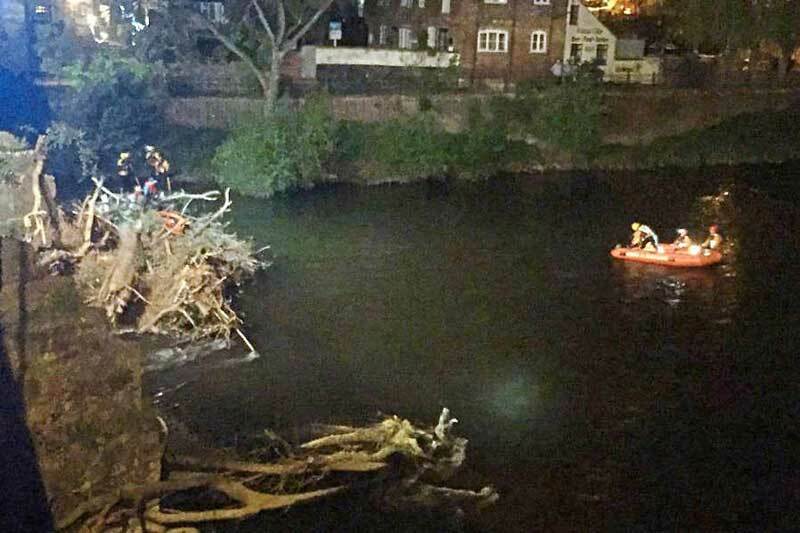 He said: “They were quite safe where they were, they just had to be help from that log debris area.” A fire service spokesman said the two men had been travelling down the river in a dinghy when their boat got a puncture. 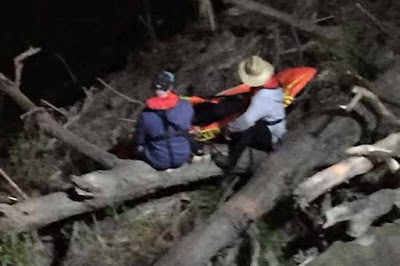 They became stranded in the middle of the river on an area of tree debris. He said: “They were quite safe where they were, they just had to be help from that log debris area.” The men were rescued by fire service boat and then checked over by an ambulance crew as a precaution by about 11.15pm. Police were also at the scene. 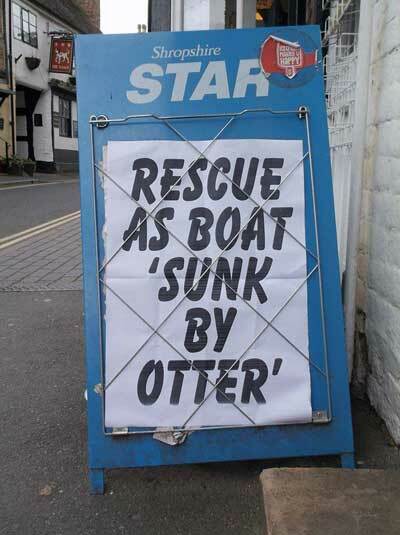 One of the boat's occupants, Bridgnorth resident Stuart Davidson, said: “Otter burst our boat. 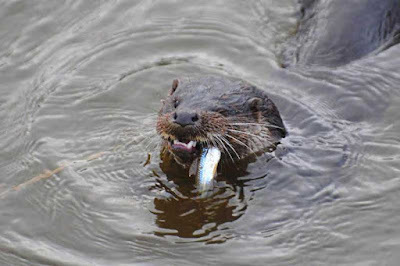 Two blokes, a deflated rubber and two fire engines.” The Bridgnorth otter has been spotted splashing about in the River Severn, close to Bridgnorth Bridge, in recent months. It is believed to have taken up home in the wood and debris that has built up a the bridge following heavy rain earlier this year.